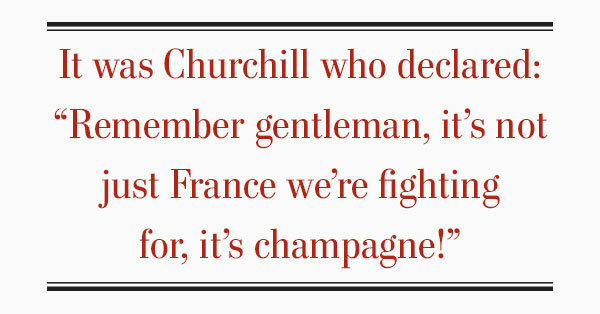 Churchill enjoying a glass of champagne. In December 1941, just days after the Japanese attacked Pearl Harbor, United States president Franklin Delano Roosevelt informed his wife Eleanor that a guest, or guests, would be coming to stay at the White House. 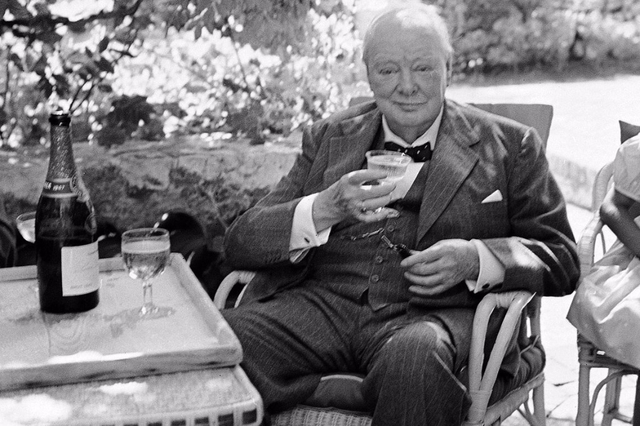 Make that Pol Roger champagne, vintage Hine brandy and Johnny Walker Red—for the guest, of course, was Winston Churchill, the British bulldog prime minister whose eccentricities and fondness for libation are the stuff of legend. The 67-year-old leader stayed with the Roosevelts for a month. White House staff often saw him in a one-piece romper suit or a Chinese silk gown, complete with dragon. Sometimes he wandered the halls in far less. “We live here as a big family in the greatest intimacy and informality,” Churchill wrote British Labour Party leader Clement Attlee. On Dec. 30, he delivered his “some chicken; some neck” speech in Canada’s House of Commons after taking the train to Ottawa, pausing impatiently outside the chamber afterward for Yousef Karsh. It was then that the legendary portraitist snatched the cigar from Churchill’s mouth, eliciting what is probably history’s most famous glower. The photograph came to represent Britain’s stubborn defence against Hitler’s relentless advance. 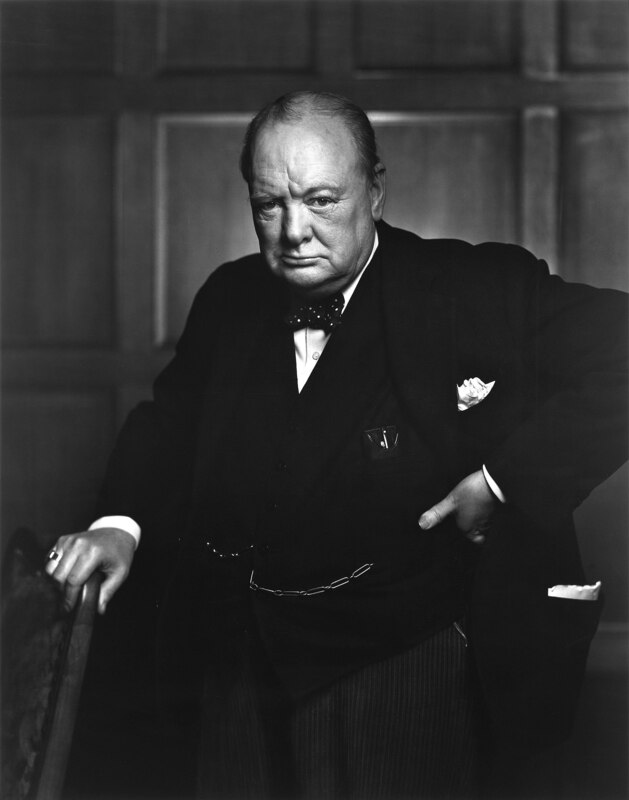 The famous portrait of Churchill outside the chamber of Canada’s House of Commons in December 1941 by Canadian photographer Yousef Karsh. Back in Washington, Churchill would work in bed until 11 a.m. The two leaders lunched together daily. By mid-afternoon, the pugnacious PM would suddenly declare, “I’ll be back,” before retreating for a two-hour nap. 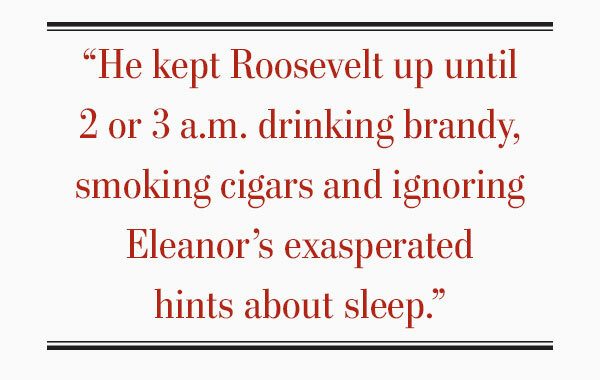 “It was astonishing to me that anyone could smoke so much and drink so much and keep perfectly well,” the first lady wrote. 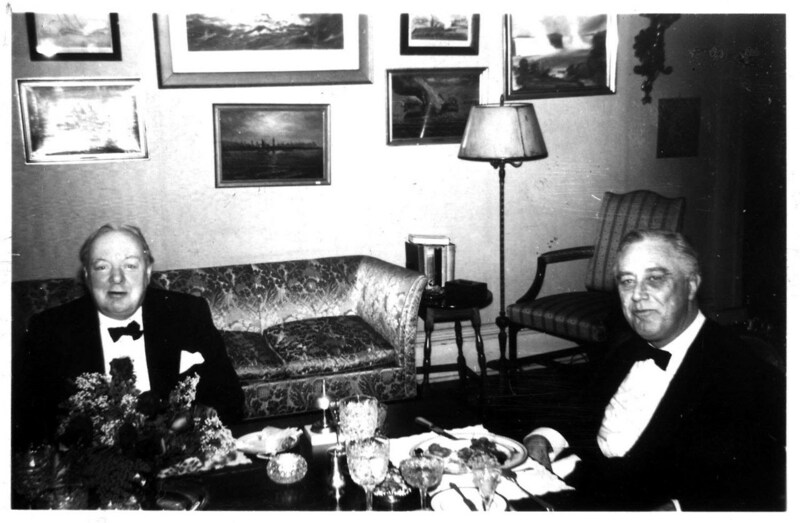 Prime Minister Churchill dining with U.S. President Franklin Roosevelt. The President liked two or three or martinis before dinner. 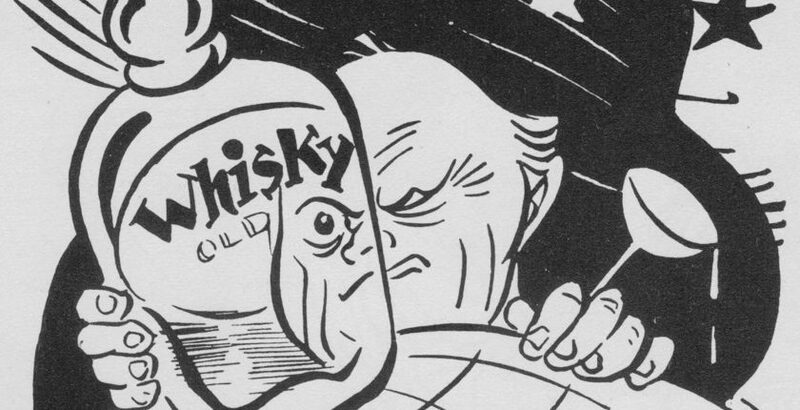 Churchill’s affinity for drink dated to his soldiering days in the 1890s. And like it a lot. As a 25-year-old soldier during the 1899 war in Sudan, he wrote 13 front-line columns for The Morning Post, a conservative London daily. He brought along 36 bottles of wine, 18 bottles of aged scotch and six bottles of vintage brandy for the task. The quantity, his physician prescribed in clear type, “is naturally indefinite, but the minimum requirements would be 250 cubic centimeters,” or almost six shots—per meal. 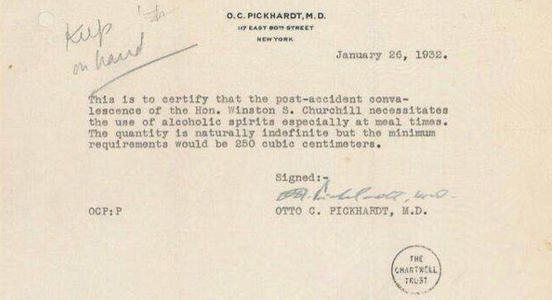 Dr. Pickhardt’s Prohibition-era “prescription” for an ailing Churchill. The physician recommended a minimum of almost six shots of alcohol per meal. In 1936, his wine merchant’s tab was reportedly today’s equivalent of $75,000. His lifetime Pol Roger consumption alone has been estimated at 42,000 bottles. 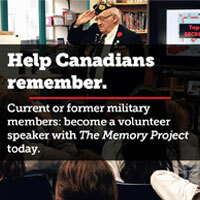 In his memoir, I Never Made Love in a Canoe, former army sergeant and wartime Maple Leaf reporter George Powell relates the story of a dinner at Churchill’s home for which then-prime minister John Diefenbaker and his wife were the primary guests. 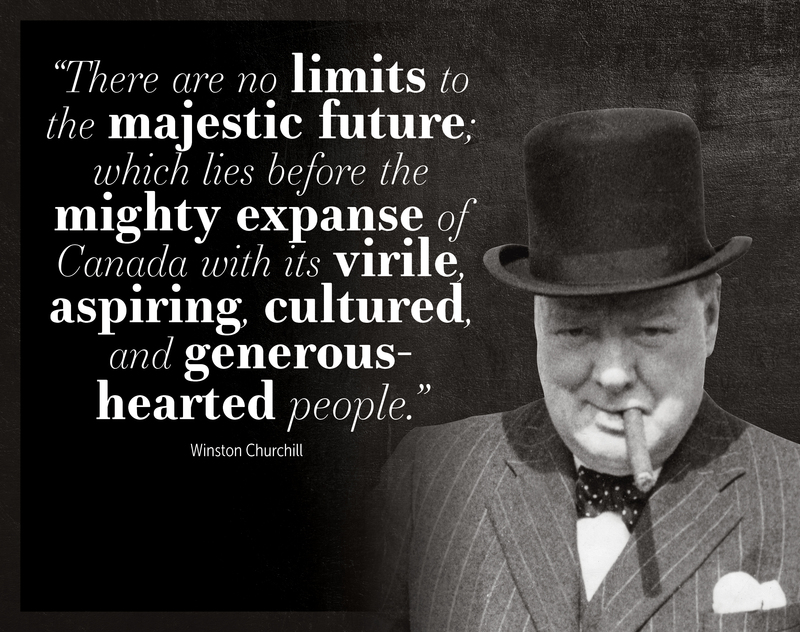 Diefenbaker realized there and then that Churchill had acted out of concern that he might offend his guest. 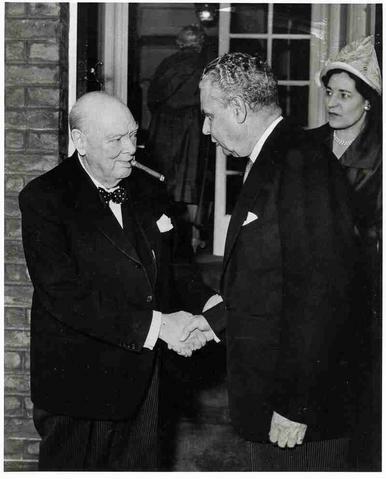 Prime Minsiter John Diefenbaker shakes hands with Sir Winston Churchill at Churchill’s Hyde Park Gate house in London in May 1960. Richard M. Langworth, author of a dozen books on Churchill, claims to have the lowdown on one of Churchill’s most notorious, and misrepresented, exchanges. Langworth cited Ronald Golding, a bodyguard present as Churchill left the House of Commons in London after a 1946 debate had stretched late into the evening. In fact, Churchill was not drunk, Golding said, just tired and wobbly, which no doubt contributed to his merciless salvo. After the Yalta Conference in February 1945, Churchill visited King Ibn Saud, the founding father of Saudi Arabia, at an oasis in Egypt. Word was passed along that neither tobacco nor alcohol were permitted in his majesty’s presence. “Winston informed the interpreter that if it was the religion of His Majesty to deprive himself of smoking and alcohol he must point out that his rule of life prescribed as an absolutely sacred rite, the smoking of cigars and the drinking of alcohol before, after, and, if need be, during all meals and in the intervals between them,” Langworth wrote in his 2017 book Winston Churchill: Myth and Reality. The first of the 10-year-old vintages was released only in magnum (1.5-litre) format.